He’s bearded, wears green and protects a pot of gold at the end of the rainbow – we’re speaking about the famous leprechaun! And he is just waiting to give you your just rewards on 5 reels and 25 paylines. 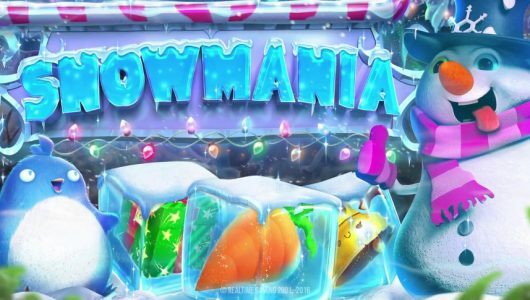 Download the superb software within minutes on your desktop to find heaps of treasure on this sensational game. 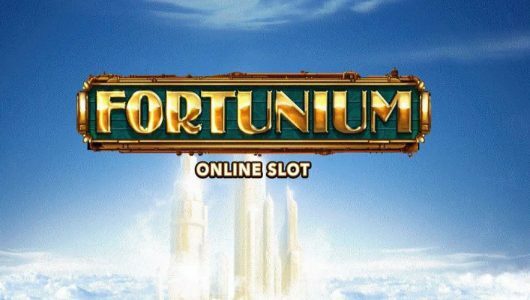 Lucky Last RTG slots will definitely charm you with its fortuitous 10,000 coin jackpot. 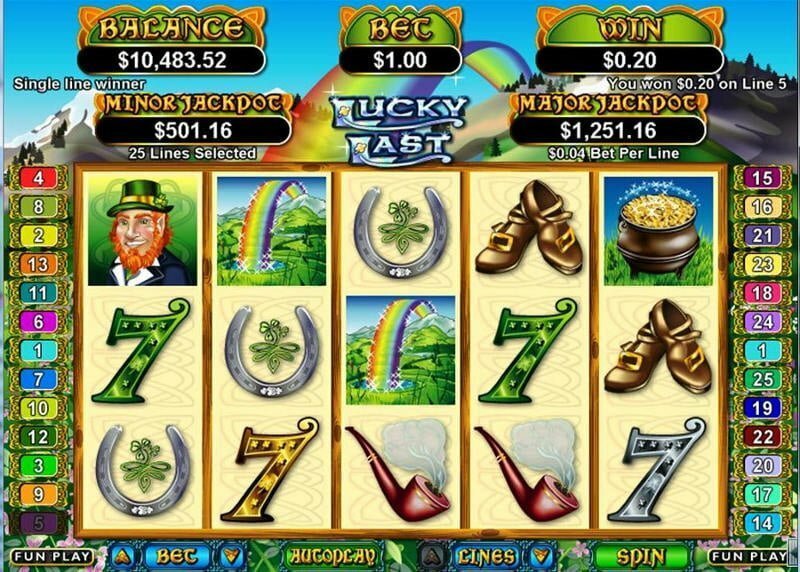 Paying symbols that appear across the reels in true leprechaun style are the leprechaun, lucky coin, last coin, shamrock, pot of gold, mushroom, rainbow and horseshoe. 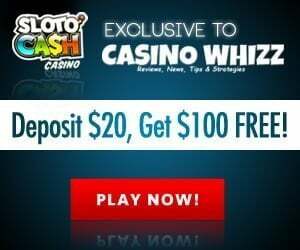 The slots offers an average return to player (RTP) payout percentage of 96.5%. The game’s coin range starts with $0.01 up to $1.00 making it suitable to players from all walks of life. If you’re busy with other stuff an ‘Auto Play’ feature allows you to spin the reels automatically. The various options at you disposal are ‘turbo play’, (5 – 1,000 number of spins), ‘stop when jackpot is won’, ‘stop if a win exceeds and so forth. Two wilds bring that extra bit of fortune: the lucky and the last coin. If any of them lands on the 1st or 5th reel they double a win after substituting every icon, except the scatter. These icons also grant 7 free spins in the Lucky Last feature. During this round the final free spin has a 50% chance of being re-triggered which awards you an additional 7 free spins. In the first 6 games all winnings are tripled and then doubled in the 7th round. The free spins feature can be re-triggered up to 5x. When 5 Leprechaun symbols appear at the maximum bet per spin they pay out a whopping 5,000 coins. But if the leprechauns land together with the gold coins the major jackpot of 10,000 coins will be yours! The pot of gold landing pays out 2,500 coins, but if it appears along with the gold coins, the cash prize is a not too shabby 5,000 coins. Bonus rounds in any slots makes it worthwhile playing. 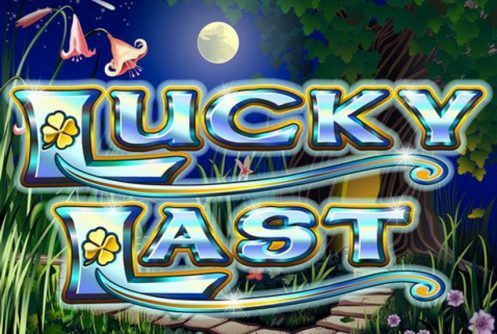 Lucky Last RTG slots introduces two wilds and a free spins feature that can be re-triggered up to 5x. The biggest win I had during the free spins is 85x my stake but work on an average of 25x your stake. 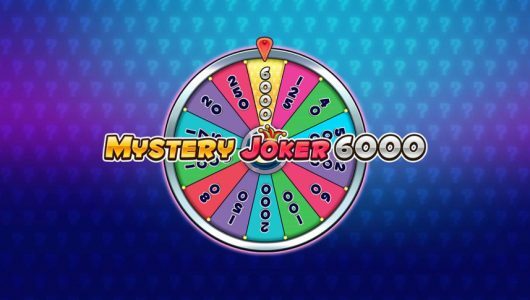 The jackpot can be hit at any time, this is why it’s such an exciting game to play.